Finally finally we could leave our berth in the hope we would be able to make some trial starts. 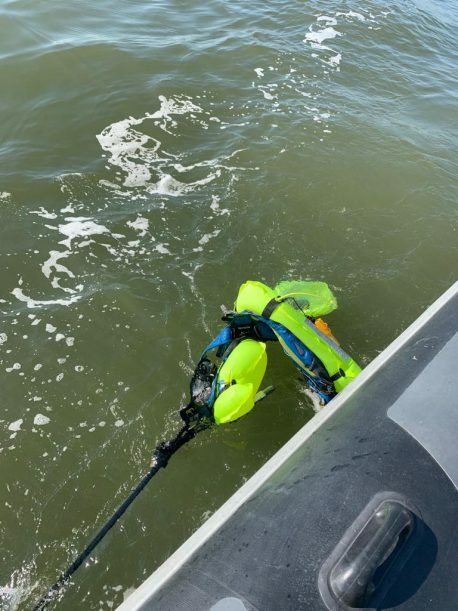 Prior to that Floris checked a Spinlock deck vest by letting it drop next to Luna instead of jumping himself in the Solent. The only time I remember he left the boat was on the Solent, but then we stepped off on a green buoy and stayed there for 30 minutes. Even then he did not get wet. We have been able to establish that the AIS signal was activated and that there appeared a different AIS image on the screens of both Winsome ánd Luna. Once the Spinlock was in the water, the antenna was unfolded and the AIS started working. 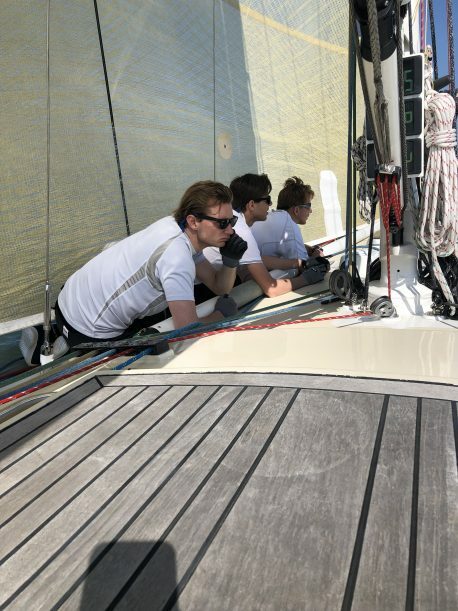 We noticed that the position of the AIS image did not change position, even when we speeded away in Luna, with the deck vest on board, at 20 knots. Floris will make some investigations with SpinLock. Then we did a trial start, but we noticed that all manoeuvres had become rusty last winter. 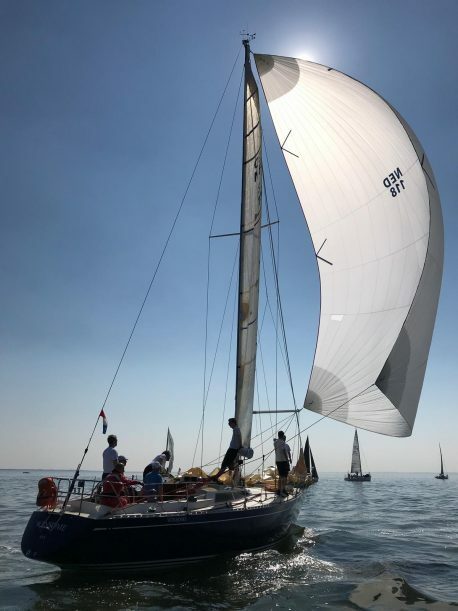 After 30 minutes all was over and we motored back to the Medina in order to prepare Winsome for the RORC Cervantes Trophy Race to Le Havre, starting Saturday 4 May. We are sad about our the mistreatment of our fresh water tank, but we are happy woth all discoveries made needed to have Winsome for 100% in order and the work of our special Council Floris in respect of safety issues. New grab bag, check of SpinLock deck vests, checking Fastnet Race requirements etc. After we returned to Winsome’s Cottage we wondered what to do next, when Leen suddenly got a blink in his eye and suggested to finish the mast issue for the Rolex Fastnet Race i.e. 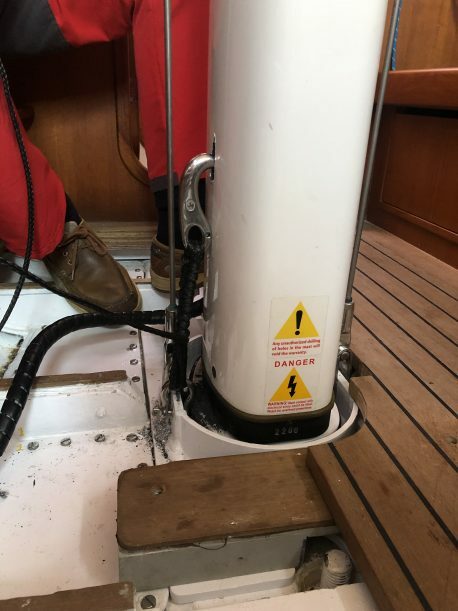 to secure the mast on the mast step. One visit at De Hond and Leen collected the necessary materials. Believe it or not but one hour later it was done. So we are ready NOW to start. Unfortunately this will still take 103 days. We returned resp. tried to return to Cowes Yacht Haven. Luna’s engine stopped when we passed the Red Funnel Ferry, exactly at the moment when we passed the Floating Bridge. The tide took us with 3 knots towards the Red Funnel Ferry and we simply scratched alongside her hull. Fortunately the antenna bar was 20 cms higher than the whale (berghout) and took some scratches only. 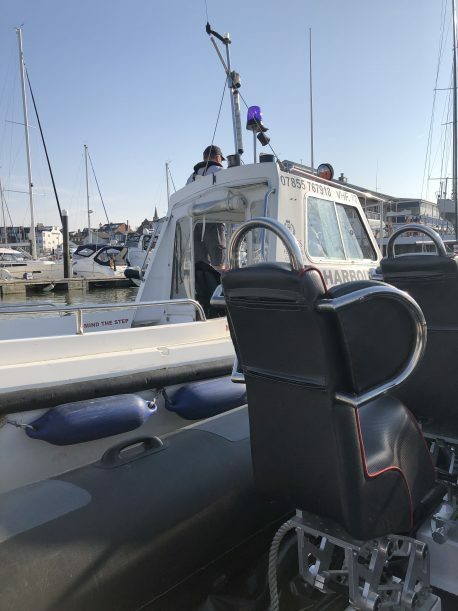 I called right away Lawrence Boarer who called his son to rescue us, but a minute later the Harbour Master speeded towards us and brought us along his boat in Cowes Yacht Haven. 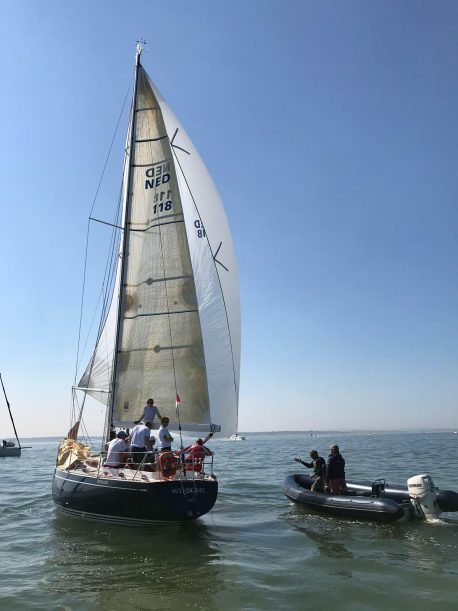 Next Race (first race in 2019) will be RORC Cervantes Trophy to Le Havre 4th of May.